Assembly election results are only a reflection of the chaos in the party's so-called 'planning'. As a long-time BJP watcher, what is happening now is not making sense to me. Having suffered a setback in the assembly polls (in spite of a creditable fight-back in two states), in the days leading up to the poll results, the actions of the party cause confusion. Yes, it’s clear that hard Hindutva is on the cards between now and the national elections that will begin in about four months. 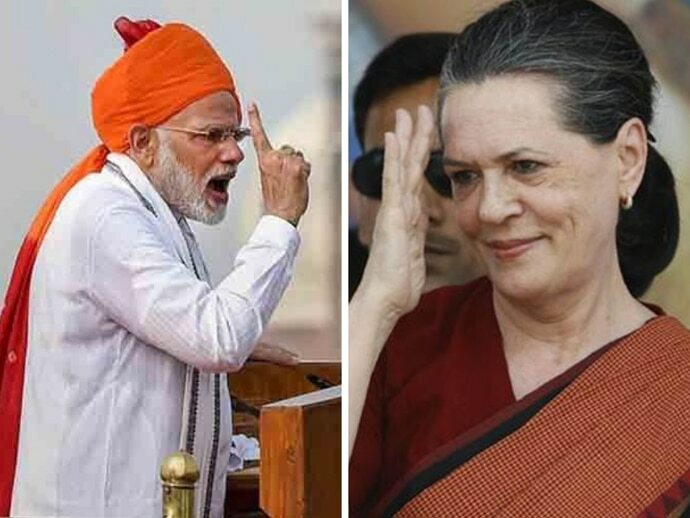 But hardline politics is also calibrated in ways that make sense – what we have now is utter mayhem, designed to put off the middle-of-the-road voter who bought the message of change and hope offered by Narendra Modi in 2014. 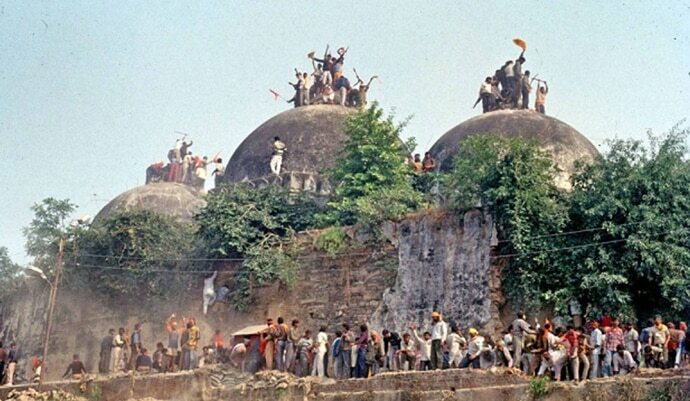 I write this piece after seeing footage of crowds gathered in Delhi on a call issued by the RSS and VHP to demand a law to build a Ram Mandir at Ayodhya, just days before the results came and the winter session of the Parliament began. As the crowds march on, they shout: "Ek Dhaka aur do/ Jama masjid tod do" (One more push/ bring down the Jama Masjid (of Delhi). I would appeal to the police to take action against those inciting violence, and to the Imam of the masjid to file an FIR. Is Yogi Adityanath now the face of the politics of the BJP as he campaigned more in these assembly elections than the prime minister? 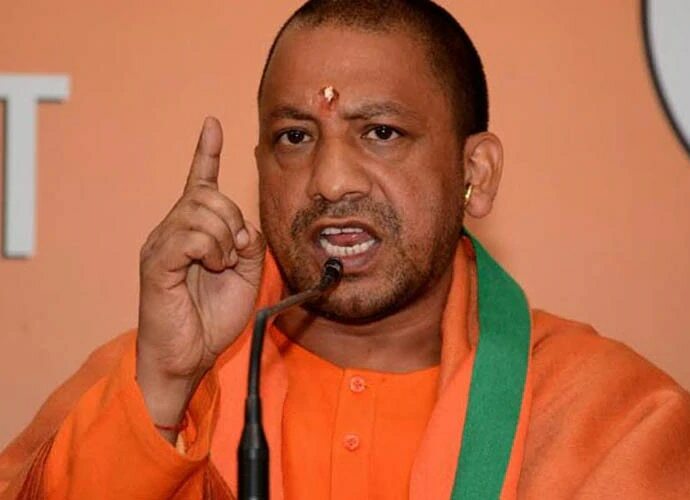 I ask because the over-projection of Yogi Adityanath in these rounds of assembly elections, where hard Hindutva was not really a public issue, is perplexing. Shivraj Singh Chauhan, who has given a creditable fight-back after three terms, said so in an interview to a leading national daily before voting day. He stated that issues such as the Ram Mandir have their place but are not important in assembly elections that are fought on development and economic issues. Yet, there was Yogi, traversing regions that he does not rule, while a policeman was shot dead in his own state. He made memorable interventions such as 'It’s Ali vs Bajrangbali'; "Asad Owaisi will have to flee when the BJP comes to power in Hyderabad"; "the name of Hyderabad will be changed when the BJP comes" and so on. Borderline hate speeches by the man who is pressing ahead even as the reports from Uttar Pradesh are not encouraging for the BJP. Is he acting autonomously – or is this a strategy coordinated by the national leadership? The huge mobilisation on the Ram mandir issues confuses as well. For the facts are simple – even if the BJP were to bring an ordinance declaring that a Ram mandir is built at Ayodhya, it would be legally overturned and not be possible to build it as a clutch of cases linked to Ayodhya are being heard in the Supreme Court. The schedule announced by the court does not match the election schedule where the BJP will be on test. Why then is the RSS now upping the ante for the Ram mandir – even though it’s impossible for the Modi government to deliver? Is the Sangh too doing so as part of a coordinated strategy or just asserting its own powers? Linked to this is another question. 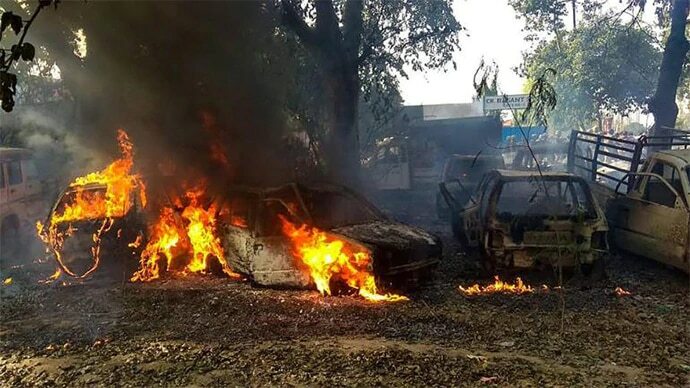 The current display of mobocracy in Uttar Pradesh, where a mob shot dead a policeman in Bulandshahr and in Delhi, where the mob made hate speeches suggest the script is mayhem. But is it a script or are Yogi and the RSS now acting as autonomous units and pressure points on the BJP dispensation at the Centre? All of the above brings us to the next question – is the BJP convinced that invoking Muslim hate is all that is required to win elections? Especially, as in Assam, there has been resistance, even by sections who support the BJP, to segregate Hindu and Muslim Bengalis and there is always a limit beyond which polarisation does not work? Beyond ideological issues, let’s move to another point – the sheer abuse the BJP heaps on its opponents. Does the BJP not recognise that heaping abuse and threats on Sonia Gandhi and Rahul Gandhi makes them the underdogs and evokes sympathy? And making a tasteless remark about the widowhood of a woman whose husband was assassinated is really bad form from no less a figure than the Prime Minister? Beyond ideological matters, the exit of RBI Governor Urijit Patel suggests another kind of institutional chaos. After what has happened in the CBI, does the party think that the middle class is so enamoured by the idea of hating Muslims that they are comfortable with institutional degradation? Does the party not worry that a section of the middle class that supports the idea of a strong leader because it suggests order may get put off when they see chaos? The day before the assembly polls result were declared, an NDA ally, Upendra Kushwaha, who has three MPs in Parliament, quit the government. As a member of a caste-based party with some clout in Bihar, this is not a good sign for the BJP in a state where politics works strictly on the arithmetic of caste and community. Another NDA ally, Jitanram Majhi, had already left and joined the opposition led by Laloo Prasad Yadav’s RJD. 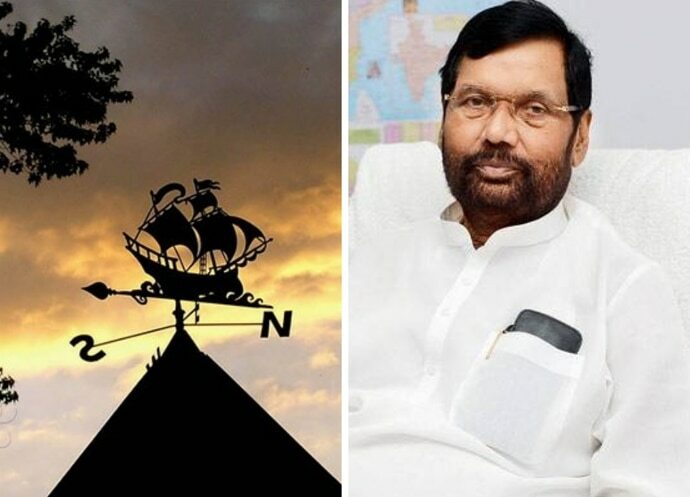 (The joke in Delhi now is that if the ultimate weather-wane Ram Vilas Paswan exits NDA, then it’s certain that the BJP is in trouble). The question, therefore, that arises is this - is the BJP no longer an attractive ally for parties? There is also a caste insensitive strategy currently on display in Uttar Pradesh, the state from where the BJP got most of its MPs. Across the country, Yogi Adityanath may be only understood as a Hindutva hardliner. But within UP, the other dimension to his persona is that he is a Thakur (Gorakhnath Mutt, of which he is the head, is a Thakur order) to add to which Yogi is not diplomatic. Inside the state, therefore, the CM is seen as promoting what is referred to as 'Thakur-vaad'. This puts off other communities. A Dalit MP from Bahraich in the state, with the evocative name of Savitribai Phule, quit the party last week, saying the party does not work for social justice. Is the BJP not worried? Most significantly, the state is home to most of the country’s Brahmins, who make up 10 per cent of the population and are a significant voter bloc. There has been a traditional Brahmin-Thakur rivalry (Thakurs make up 8.5 per cent) that has only been accentuated by Adityanath Yogi’s lack of tact or finesse. 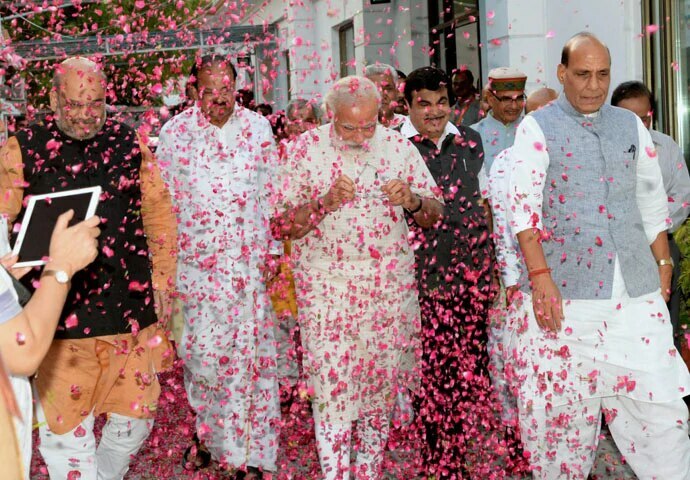 In 2014, differences of caste were papered over by the Modi wave. Now, the resentments are simmering. The direction in which the BJP is moving therefore no longer makes political sense. There seems to be a loss of control over institutions, cadre and most significantly, the chief minister of the nation’s largest state, who does not take instructions from anyone. When a party begins to lose the battle of perception, it’s hard to control the slide if you just respond with chaos and if autonomous power centres chart their own scripts.